Halloween is today and I have found a real gem for some midnight viewing. Spoilers! Shinya Tsukamoto This serial killer film comes as something of a relief after two months of kaidan. Nightmare Detective was directed by Shinya Tsukamoto, he of Tetsuo (1988) fame, a film that instantly earned him comparisons with David Cronenberg due to its body horror. I first watched it late at night as a teenager and was left dazed and disturbed. The comparison is well deserved as his film packed a visceral and psychic punch. I next watched Vital (2004) in a cinema and was left dazzled by the beauty but bemused at the modern dance sequences. This is the first film Tsukamoto film that I have watched since then and I loved it. A businessman returns home, he’s alone, unfolds newspaper turns to see a mane of long hair on the wall. A man in a poncho shuffles from beneath a table, he is Kagenuma (Ryuhei Matsuda) and he can enter dreams, hear thoughts and read peoples’ subconscious while they dream. It is a gift that he hates having because the dreams he enters and the thoughts he read reveal “disgusting things”. Cut to a woman who is on her mobile phone arranging her suicide with a mysterious man who stabs himself. She ends up being chased and torn to pieces. This is the first of a series of suspicious suicides that leave the police puzzled. A link surfaces when they find that the victims called a person named o (Shinya Tsukamoto). Keiko Kirishima (Hitomi) is a new member of the homicide squad. Her fellow veteran homicide detective Sekiya (Ren Osugi) is sceptical about her abilities but she has the support of a young detective named Wakamiya (Masanobu Ando). Kirishima becomes increasingly obsessed with the case increasingly convinced that the mysterious 0 can control minds but feels belittled when she’s asked to get the suicidal dream reader involved in her case. I’m a sucker for these stories: explorations of dreams and the subconscious, detectives facing twisted psychologies, existentialist takes on modern life – Cure and Inception being two titles I love. Nightmare Detective joins them. It has been a while since I have posted any trailers but two films I have been following, Phoenix Wright and Himizu, have footage online so here they are. A video is online showing a various sequences from Takashi Miike’s live-action movie adaptation of Capcom’s long-running Nintendo DS game, Phoenix Wright: Ace Attorney. Takashi Miike announced that he was working on an adaptation during a press conference in Cannes where he stated that his next film “…is a very light comedy that I am filming now, a court drama, based on a video game, the Nintendo game DS”. Phoenix Wright will be played by Narimiya Hiroki one of the stars in the ninja adventure Azumi as well as the stylish Sakuran. 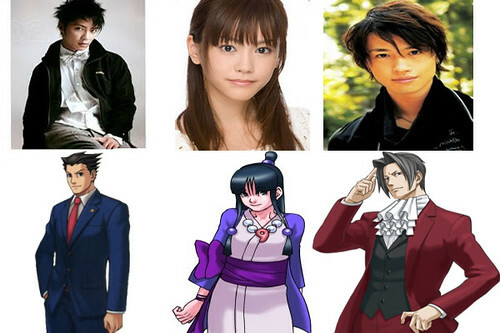 Phoenix Wright’s assistant, Maya Fey, will be portrayed by Kiritani Mirei who has recently worked on the live-action TV version of Arakawa Under the Bridge and Miles Edgeworth will be portrayed by Saito Takumi who starred in the awesome Thirteen Assassins. 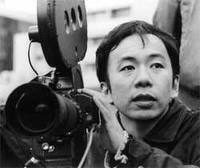 Interesting fact: Takeshi Furusawa was the assistant-director on Kiyoshi Kurosawa’s film Pulse. After watching this popcorn flick you might be sceptical but pay attention and you can see a great many similarities to various J-horror films. A boy named Takashi finds a ticket on a Mizunashi Station train platform and picks it up. He is visited by a menacing woman in a dark robe. Shell-shocked, he makes his way back to the station and encounters his class-mate Noriko and her older sister Nana (Erika Sawajiri). He tells them, “A strange lady came to me and told me I’m going to die because I picked it up.” Nana reassures him that everything will be fine. 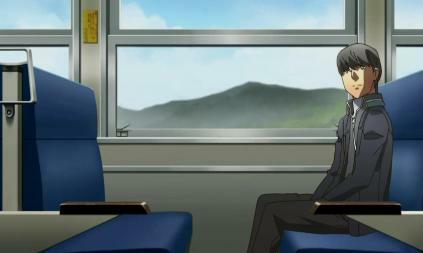 Noriko takes the ticket from Takashi who boards an empty train still feeling uneasy about his encounter. The mysterious woman reappears just before the train stops in a tunnel. She claims Takashi as a victim. Why did the train stop? The driver, Kuga Shinichi (Shun Oguri) saw a woman on the track but when he investigates there is nobody there. He tells his superiors but finds himself demoted from the role of driver. Meanwhile Kanae (Chinatsu Wakatsuki) and her boyfriend Shigeru are travelling with friends when he finds a bracelet on a seat. He hands it to Kanae as a present and she puts it on her wrist little realising that the object is cursed and she will be visited by horrifying visions. The driver begins uncover the secrets of the tunnel and discovers it is the site of numerous accidents and harbours a dark secret. Nana and Noriko notice Takashi is on a missing person poster but it isn’t until Noriko goes missing that Nana finds herself investigating the disappearances all of which seem to be linked to a woman named Yaeko Aounuma. I have been slow in finding new anime to watch during the autumn season. There are so many shows but I decided to follow this one and Un-Go simply because they were easier to access thanks to Anime on Demand’s excellent service. 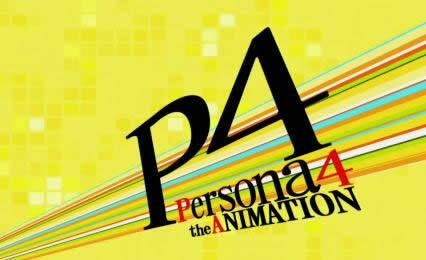 So what is Persona 4 the Animation about? The story follows a character named Yu Narukami who moves from Tokyo to the fictional rural town of Inaba to stay with his uncle, a police detective named Ryotaro Dojima, and his daughter Nanako. Paul WS Anderson, director of the entertaining Resident Evil films and Event Horizon, takes on Alexandre Dumas’ classic novel and creates a film that is solid bordering on dull. Young D’Artagnan (Logan Lerman) travels to Paris in order to become a member of the legendary Musketeers. Reality does not live up to his dreams as he finds them disillusioned after the failure of their last mission and he makes enemies of Porthos (Ray Stevenson), Aramis (Luke Evans) and Athos (Matthew Macfadyen). However a common enemy in the form of Cardinal Richelieu (Christoph Waltz) unite them as his power games threaten the French monarchy. In order to help the Queen survive Richelieu’s plotting the Musketeers must regain their sense of honour and defeat the machinations of Richelieu, the beautiful and deadly Milady De Winter (Milla Jovovich) and the fiendish Duke of Buckingham (Orlando Bloom). Following on from the ICA’s Korean Film Festival will be the Zipangu Film festival show-casing a mix of recent Japanese films, documentaries, short films and experimental anime from legendary directors to new talents and even foreigners. Of all the titles on offer the only one vaguely familiar to me is Shirome which looks like a hoot. 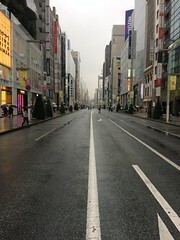 The festival will run from the 18th to the 24th of November. For more information visit the site! Blair Witch meets Morning Musume (or is that reference too old? AKB48 perhaps?) where the director, Kôji Shiraishi, stars in his own film as the director of a supernatural reality TV show who offers J-pop idol band Momoiro Clover the chance of appearing on NHK TV’s annual Kôhaku New Year’s Eve music show. What’s the catch? They are to perform their latest single in a haunted school where Shirome (white 白eyes　目), a ghost who can grant wishes and make people go insane if their wishes are insincere stalks the corridors. The stage is set for a lot of screaming and shaky camera. The screening will take place on the 18th of November at 8:45pm. Ju-On: The Curse 2, like its predecessor, was an original video production and it carries on from where the first movie left off by following psychic medium Kyoko Suzuki (Yuuko Daike), a police investigation headed by Detective Kamio (Taro Suwa) and the haunted house’s new set of owners, the Kitada’s. 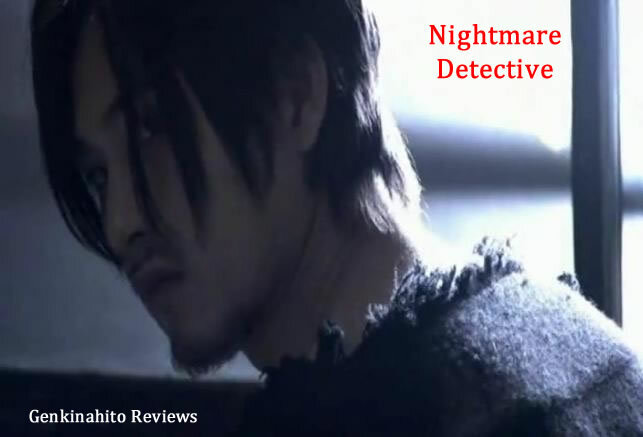 Ju-On: The Curse 2 has a much more linear structure with multiple narratives told sequentially. We start with the teacher from the first movie before following Kyoko and a new set of characters. It uses old footage from the first film used for about a quarter of the seventy-six minute running-time which may anger some but I felt it strengthened proceedings by providing a solid set-up and establishing the source of the haunting. At first you would think there is nothing new to see. 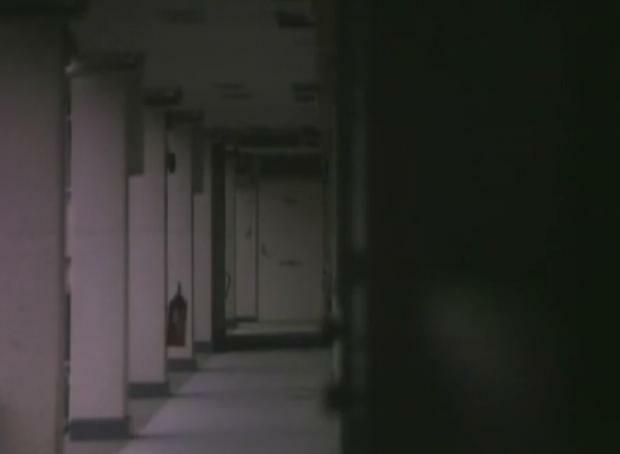 The film retreads the same ground but with slightly different variations and it uses all of the J-hora clichés what with the creepy shape with a livid eye and long hair glimpsed at the corner of your vision but Shimizu creates an enjoyably chilling film by exercising his imagination in urban terror proving once again that he is good at setting up supernatural surroundings. 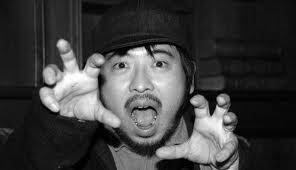 After dedicating most of September to the J-hora films of Kiyoshi Kurosawa it seems fitting that I should now look at those of Takashi Shimizu. Shimizu studied under Kurosawa at the Tokyo Film Seminar/Film School of Tokyo. This relationship proved crucial for Shimizu because Kurosawa got him his first professional directing job helming two segments for Kansai TV’s 1998 Haunted School G series. These would form the basis for the Ju-On films which Shimizu is most remembered for. Ju-On – A curse born of a strong grudge held by someone who died. The place of his death gathers his grudge and works on anyone who comes into contact with those places. Those with this curse shall lose their life and a new curse is born. The film is split into six vignettes. Each one follows a separate person and they are not in chronological order. The first follows a teacher named Shunsuke Kobayashi who is concerned about the absence of one of his pupils named Toshio Saeki. 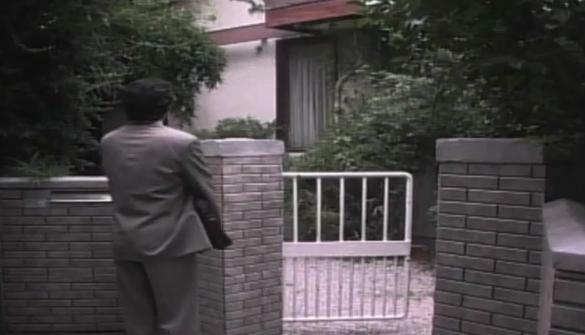 While paying a house-call Shunsuke notices Toshio is injured, Toshio’s mother Ayako is nowhere to be found and the household in disarray with objects strewn around and the environment suggesting abuse. After helping Toshio apply first aid Shunsuke makes the decision to wait little realising the house is haunted. Cut to a few years later and new occupants are in the house. The Murakami family consist of the mother Noriko, son Tsyuyoshi and daughter Kanna with a father off-screen. Each of these people and those they interact with become haunted over time as the curse spreads and it becomes clearer that the house is haunted and the curse is spreading. 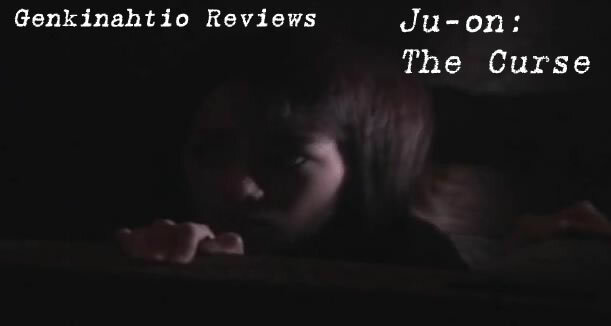 Originally a direct-to-video (original video) release, Ju-On: The Curse is the start of Shimizu’s highly popular run of yurei in suburbia titles that culminated in his helming the American re-make and even two films celebrating the tenth anniversary of the series which were directed by two new directors. I wrote yurei but it might be more accurate to call them onryou because these spirits are intent on harm. They terrify their victims (and the audience) to death with Shimizu playing on every fear an urbanite might have about their surroundings. The film is low-budget but high on imagination. My first experience with von Trier was Breaking the Waves. I found his treatment of its lead female character genuinely vile and I jumped on the “von Trier is a misogynist” bandwagon. Since then I have pretty much ignored his output, rather an ignorant thing I suppose. I mention this because going to see Melancholia was a chance to reassess my opinion on von Trier and also witness the performance of Kirsten Dunst who won the best actress award at Cannes. This is really Dunst’s best performance so far. Quite simply she is electric. Split into two parts Melancholia focuses on two sisters named Justine (Kirsten Dunst) and Claire (Charlotte Gainsbourg). Justine is an advertising copywriter who suffers from massive bouts of depression. She is getting married to Michael (Alexander Skarsgård) at a chateau owned by her sister’s amazingly rich husband John (Kiefer Sutherland) and what should be the happiest day of her life dissolves into a farce as her divorced parents, Dexter (John Hurt) and Gaby (Charlotte Rampling) snipe at each other, her boss Jack (Stellan Skarsgård) pesters Justine for a tagline to an ad campaign, John’s anger towards Gaby grows and Justine suffers a crushing bout of depression. The second part of Melancholia follows Claire as John intends to celebrate the passing of Melancholia with the family. Claire is convinced the planet will hit but John reassures her and their son Leo (Cameron Spurr) that all will be fine. Justine, suffering massive depression, seems fine with the possibility that Melancholia will hit. The Institute of Contemporary Art will be exposing the latest films from South Korea at its 6th London Korean Film Festival which takes place from the 4th to the 11th of November. A mix of award winning animated films, dramas, short films and even the Korean submission for the 84th Academy Awards: The Front Line. A film focusing on memories and friendship, Sunny tells the story of Na-mi a new girl in town who becomes the target if bullies. Thankfully a strange group of misfit girls rescue her and she finds friendship with them until a terrible accident splits them up. Twenty-five years later, Na-mi regrets the course life has taken and strives to bring the misfits back together.